The Fort Collins City Council adopted the updated Water Supply and Demand Management Policy (PDF 91KB) in November 2012. The policy states, "The reliability and capacity of the City's water supply system should be maintained to meet the planning level demand during at least a 1-in-50 drought event in the Cache la Poudre River Basin." 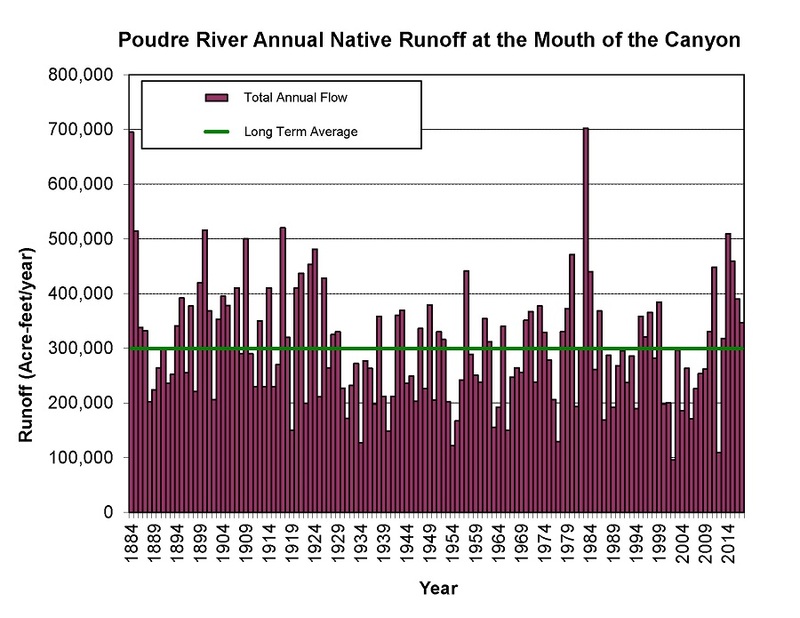 The graph below shows annual virgin (or native) flows of the Poudre River since 1884. Flows vary significantly from year to year. The green line on the graph denotes the long-term average.